The worst songs on Love This Giant sound like Talking Heads songs. Let that sink in and move on to just what level this album has achieved. David Byrne, notable genius behind the Talking Heads and his own successful solo career, and guitar virtuoso and most beautiful woman with curly hair, Annie Clark of St. Vincent have shown glimpses of chemistry before. With Byrne’s Here Lies Love, Byrne teamed up with various female singer/songwriters to create a concept album about Imelda Marcos that was equal parts musical and operatic thrall. Love This Giant goes for a bigger funkier sound while Byrne sings about a topic that sounds extremely personal and autobiographical. 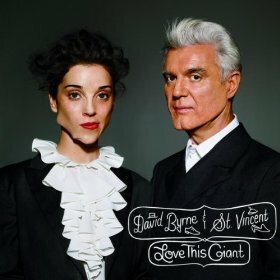 The opening track is Talking Heads + St. Vincent, which is a dream combination for anyone who listens to both bands, but sort of the expected sound. The star of the album is the epic horn section that was utilized in every song. In “I Am an Ape,” a big song off the album that should be the next single, gives us both musicians singing together about post-apocalyptic lifestyle and emotional preparedness (“I am an ape/I will not last/This too shall pass”) while a groovy bass line and a brilliant shining brass section scream pop beauty. Songs like “I Am an Ape” make Love This Giant a new wave/post-new wave goody bag, the same depressed Byrne is singing about the sorry state of things, but now he has the edgy and haunting voice of Clark, and the complementary musicianship of St. Vincent. The personal sneaks in later but gives a good retrospective glance to the rest of the songs. “I Should Watch TV” is one of the only instances of Byrne singing in the first person about how he fits in with the country he lives in. “Yes there were many awkward moments/What if I opened up/Would that set me free?” gives us Byrne questioning his own comfort in pop culture, and his own perceived place. 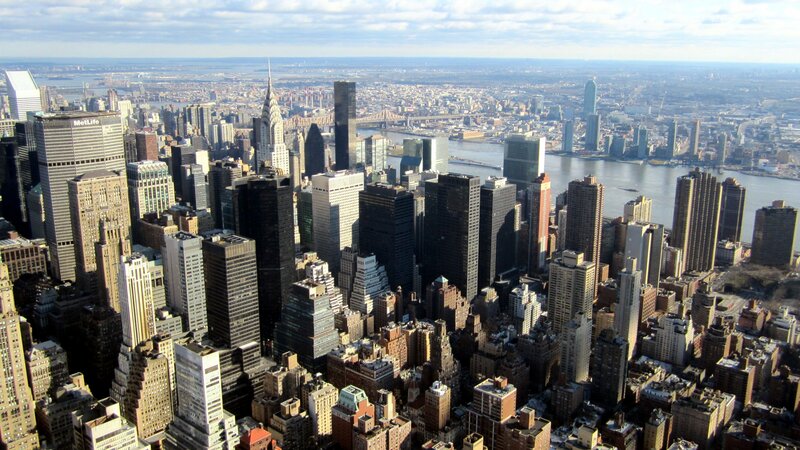 Love This Giant, perhaps, is the artist reconciling his gigantic place in music culture.